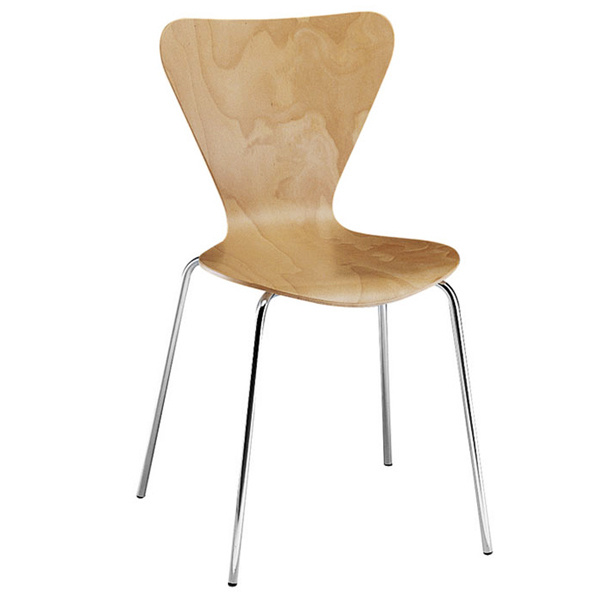 The contemporary design of the Reggio Stacking Side Chair makes it ideal for use in modern cafes, bistros and restaurants. This commercial quality chair features a hard-wearing beech veneer shell on a chrome frame for a simple yet durable design. Please Note: If you have a change of heart and want to return this item, please be aware that you will be charged a restocking fee.